Quantum physics has left scientists all over the world baffled, especially with the discovery that our physical material reality, isn’t really physical at all. “Everything we call real is made of things that cannot be regarded as real.” It seems philosophers of our ancient past were right, our senses really do deceive us. Scientific understandings change continuously throughout human history. Old “knowings” are constantly dismissed as we come across new ones. Even with our current understanding about the laws of physics, it could have some loopholes, especially with the recent disclosure of the black budget. We now know that trillions of dollars are going towards projects that the human race knows nothing about. Other phenomenon, like zero-point energy, extracting energy and heat from electromagnetic zero-point radiation via the Casimir force have shown to be correct and conclusive. Some of these ideas threaten our current understanding of physics, but how can we even have an understanding of physics when what we call ‘matter’ isn’t even real? How can we understand it if when we observe an atom at its tiniest level the behavior of that atom changes? The quantum world is definitely a weird one, and it’s safe to say that we don’t understand it, but we do recognize the significance and potential it has to help transform our world. We are starting to recognize that non-physical properties govern the universe, and we are turning our attention towards consciousness and the role it plays with regards to the physical make up of our reality. The notion that the atom was the smallest particle in the universe fell with the discovery that the atom itself is made up of even smaller, subatomic elements. What was even more shocking was the revelation that these subatomic particles emit various “strange energies.”(0) Proponents would argue that the findings within quantum physics only apply and are significant at the subatomic level, but to those I say, are we not all existing at the subatomic level? When we observe ourselves and our physical environment at the smallest level, are we not made up of atoms? Are we not made up of subatomic particles? Are we not what we observe? Quantum physicists discovered that physical atoms are made up of vortices of energy that are constantly spinning and vibrating, each one radiating its own unique energy signature. Therefore, if we really want to observe ourselves and find out what we are, we are really beings of energy and vibration, radiating our own unique energy signature -this is fact and is what quantum physics has shown us time and time again. We are much more than what we perceive ourselves to be, and it’s time we begin to see ourselves in that light. If you observed the composition of an atom with a microscope, you would see a small, invisible tornado like vortex, with a number of infinitely small energy vortices called quarks and photons. These are what make up the structure of the atom. As you focused in closer and closer on the structure of the atom, you would see nothing, you would observe a physical void. The atom has no physical structure, we have no physical structure, physical things really don’t have any physical structure! Atoms are made out of invisible energy, not tangible matter. It’s quite the conundrum, isn’t it? Our experience tells us that our reality is made up of physical material things, and that our world is an independently existing objective one. Again, what quantum mechanics reveals is that there is no true “physicality” in the universe, that atoms are made of focused vorticies of energy-miniature tornadoes that are constantly popping into and out of existence. The revelation that the universe is not an assembly of physical parts, suggested by Newtonian physics, and instead comes from a holistic entanglement of immaterial energy waves stems from the work of Albert Einstein, Max Planck, and Werner Heisenberg, among others. Despite the findings of quantum physics many scientists today still cling onto the prevailing matter-oriented worldview, for no good reason at all. As mentioned earlier, these scientists restrict quantum theory’s validity to the subatomic world. If we know that matter isn’t physical, how can we further our scientific discovery by treating it as physical. A fundamental conclusion of the new physics also acknowledges that the observer creates the reality. As observers, we are personally involved with the creation of our own reality. Physicists are being forced to admit that the universe is a “mental” construction. Pioneering physicist Sir James Jeans wrote: “The stream of knowledge is heading toward a non-mechanical reality; the universe begins to look more like a great thought than like a great machine. A double-slit optical system was used to test the possible role of consciousness in the collapse of the quantum wave-function. The ratio of the interference pattern’s double-slit spectral power to its single-slit spectral power was predicted to decrease when attention was focused toward the double-slit as compared to away from it. (2) The study found that factors associated with consciousness, such as meditation, experience, electrocortical markers of focused attention and psychological factors such as openness and absorption, significantly correlated in predicted ways with perturbations in the double-slit interference pattern. The problem presented in this experiment is called the quantum measurement problem (QMP). It refers to (as seen in the video) the intriguing effect whereby quantum objects appear to behave differently when observed than when unobserved. Scientists only view it as a problem because it disregards what our senses tell us, that the world is completely independent of observation. This problem has led to the study of the role of observation and measurement -which many believe to be one aspect of consciousness due to our mind-like capacity of awareness, attention and intention. Observation not only disturb what has to be measured, they produce it. We compel the electron to assume a definite position. We ourselves produce the results of the measurement. These types of experiments are not the only ones available that show consciousness does play a role, and is interconnected with our physical material reality in some way. The possible influence of human consciousness on the behaviour of physical or biological systems has been subject to rigorous research and documentation for a number of years by several researches. Many of the experiments that use the role of human consciousness and how it affects our physical material world have been done so under the Department of Defence and military agencies, thus remaining classified -hidden science kept from the eyes of the mainstream public world. One example of this is the 24-year government-sponsored program to investigate ESP and its potential use within the Intelligence Community. This operation was called STAR GATE , and most of its research and findings remain classified to this day. Another example is the research conducted by the CIA and NSA in conjunction with Stanford University. Now that we’ve established that our physical makeup is one that is not physical at all, where do we go from here? We are atoms, made up of subatomic particles, that are actually a bunch of energy vibrating at a certain frequency. Us, these vibrational beings of energy exhibit consciousness, which has been shown to manifest, create and correlate to our physical material world. The next question to ask ourselves is: what level of consciousness/ state of being do we individually, and more importantly, collectively operate from? 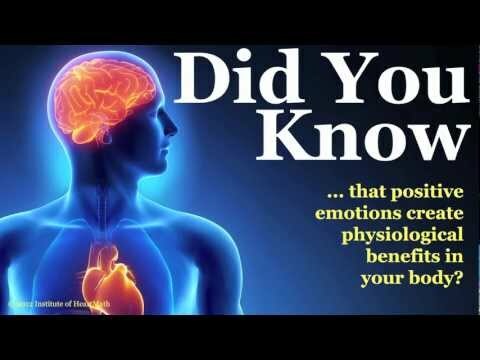 Studies have shown that positive emotions and operating from a place of peace within oneself can lead to a very different experience for the person emitting those emotions and for those around them. At our subatomic level, does the vibrational frequency change the manifestation of physical reality? If so, in what way? We know that when an atom changes it’s state, it absorbs or emits electromagnetic frequencies, which are responsible for changing it’s state. Do different states of emotion, perception and feelings result in different electromagnetic frequencies? Yes! This has been proven.